I’m in the last two weeks of prep for my show. I feel confident about it, but there’s still a lot of work to do. 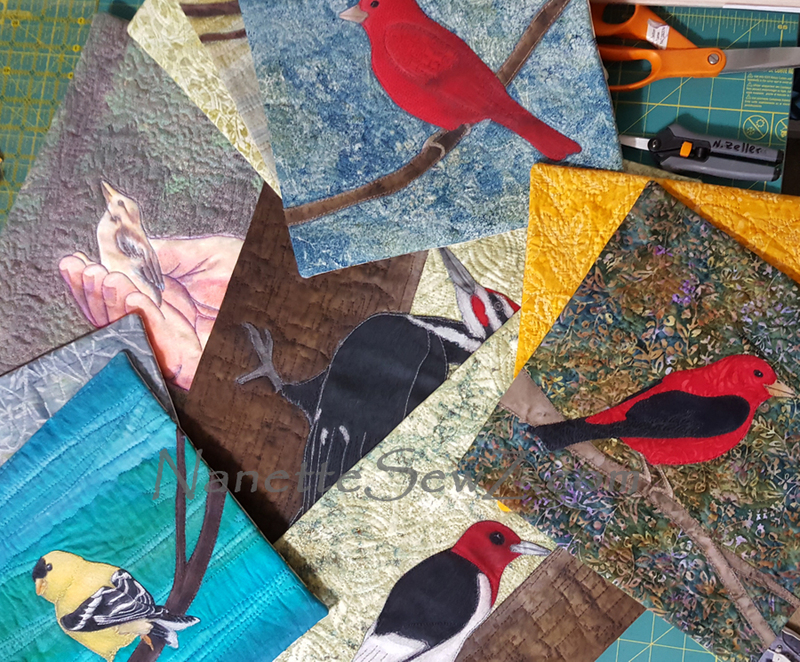 My birds still need to get framed, signange and other print media need to be created, and I’m still working on publicity. This is called being a one woman show, no team effort on this production. Some of this comes from experience from producing a lot of other exhibits. I know what has to get done and how much time its going to take. What I didn’t know was that everything I’ve ever done in my life is being put to use to create this exhibit. Hindsight is the only way to describe it. 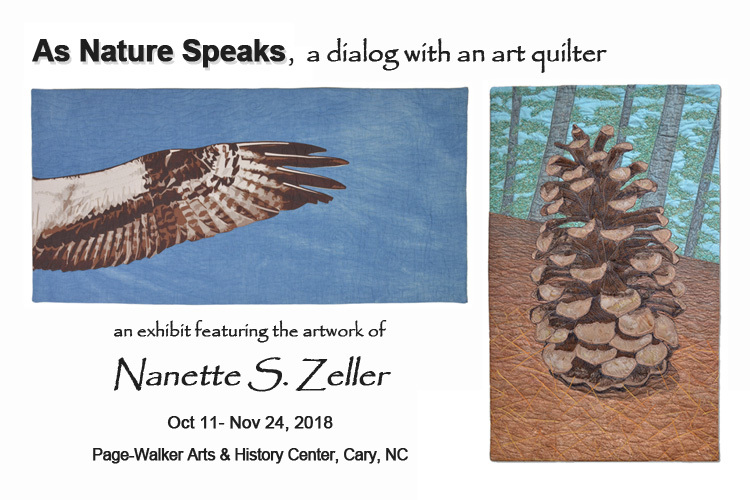 My exhibit is aptly titled “As Nature Speaks: a dialog with an art quilter.” Its a story about me, reflecting on the journey. Throughout the process, I’ve remembered that little kid who loved to pick dandelions and play with earthworms, who also loved to experiment with art. Because of that little kid and the journey she took, I’m now an adult who can express my life-long concerns about the natural world through my art. Natural science and art have always equally been my passions, next month I’ll get to show you.